Anyway, we’re having an AMAZING time here. 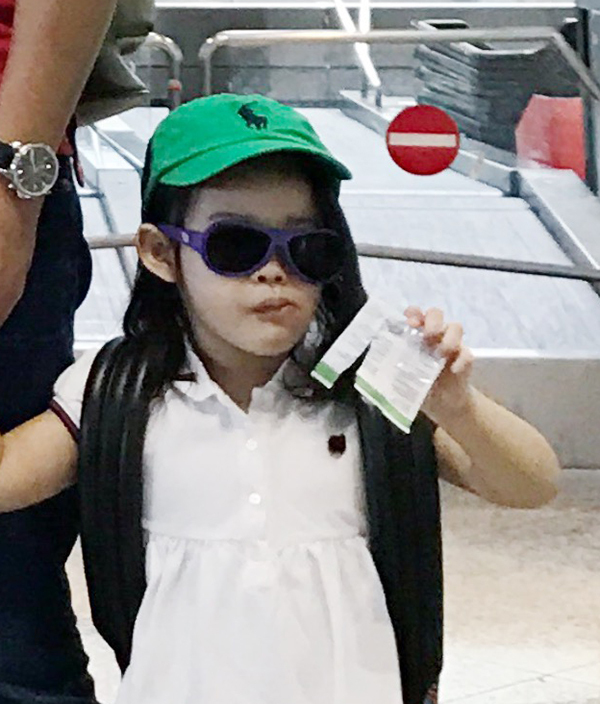 I never appreciated the fact that Singapore is so awesome for kids – Universal Studios, Singapore Zoo, Night Safari, River Safari, some more river things, ohhhh and this one tour called Duck Tours I kid you not. 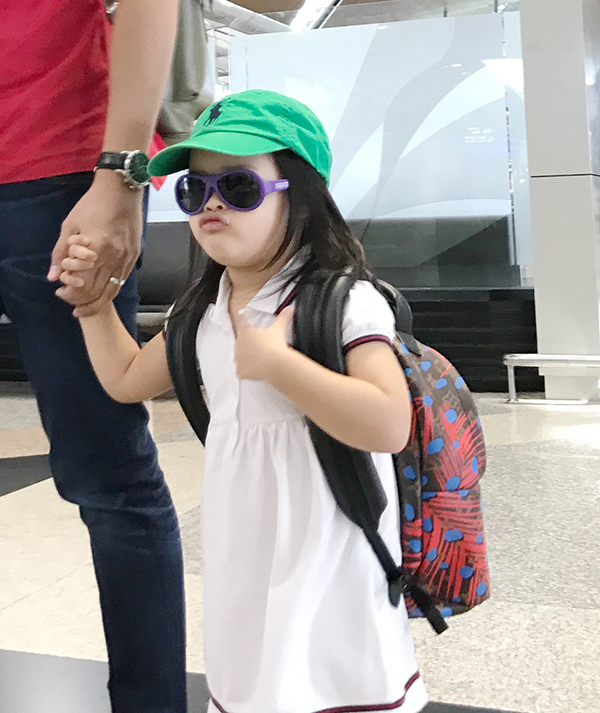 It was so cute seeing the kids coming to the airport all gangsta trippin’. Dressed in designer, with their unapologetically bright-coloured caps on, with their really really really ugly sunnies from a brand called Babiators (I kid you not) they wanted from Mothercare…. and Daniel with his two bags. They think they had such swag, these kids, when really they just look like they had an eye infection. I mean, let’s zoom in shall we?! Fuhhhh, who do they think they are. 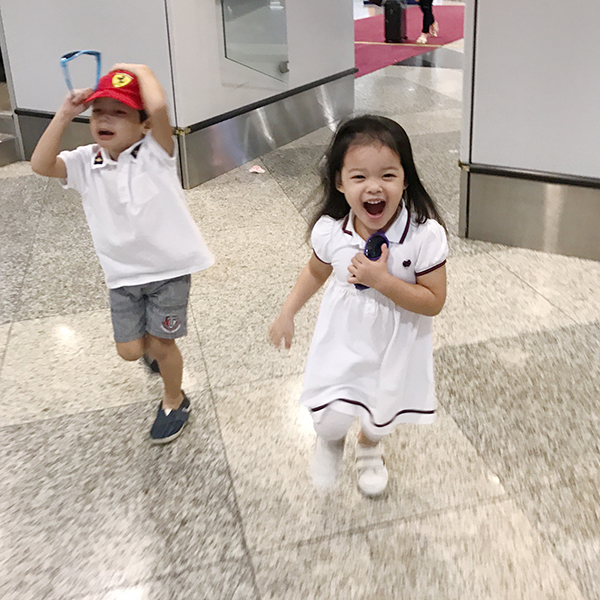 After immigration cleared them and stamped their passports, all swag disappeared, they became so jakun and started running around and being normal kids. What is that card on the pocket of my seat? Oh, what is this yellow cone thing to put on your nose in this photo? What do you mean when oxygen is low? How come they don’t give earphones like our flight to Melbourne and London? Why are we not moving, Mommy? Ok, why are the clouds not moving, Mommy? Please can I get the life jacket and wear it? Why can’t you ask the stewardess if I can wear my life jacket? IT. WAS. A. 45. MINUTE. FLIGHT. THE. SHORTEST. COMMERCIAL. FLIGHT. EVER. LIVED. And it felt like I was in there for 4 hours. Finally, we were ready to land. “Yayy!!!! !” I whispered excitedly to Daniel. 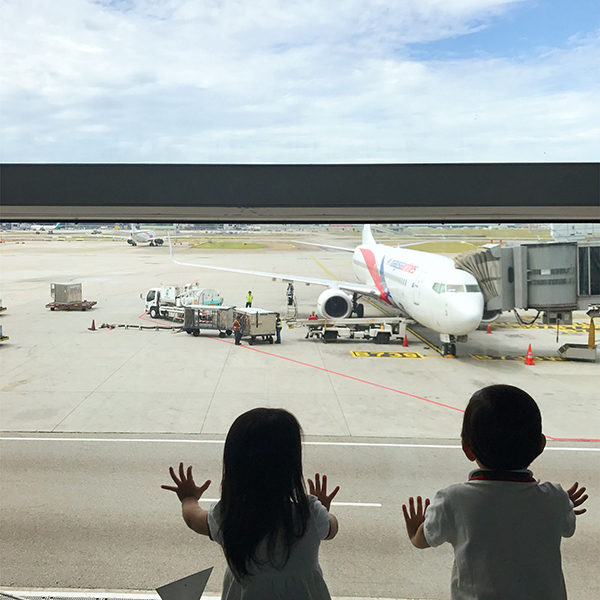 “Mommy, this is not the zoo,” once we landed on the runway at the airport. “Yeah, Daniel, we land at the airport first,” I told him. “That’s not how it works, sweetheart,” I tried calming him down, knowing that he was so excited for the zoo for days. “I want to go to the zoo. Tell him to land at the zoooooo, Mommyyyyy…” he said with tears in his eyes. Anyway, on behalf of Daniel… Dear pilot, next time land at the zoo please. How about HK vivy? Here’s Disneyland which I’m sure kids all love! Oooh… daniel u r so cute???????? Anw aunty happy to meet u at the zoo…well perhaps we could consider it to let de plane landed at the zoo??????? ?…vivy I’m very honoured to meet u and family and i doa kn dat ur business will grow..Hope to meet u again!! You should visit KOREA next time!! You should consider Japan for your next trip. There’s a Disneyland AND Disneysea there. 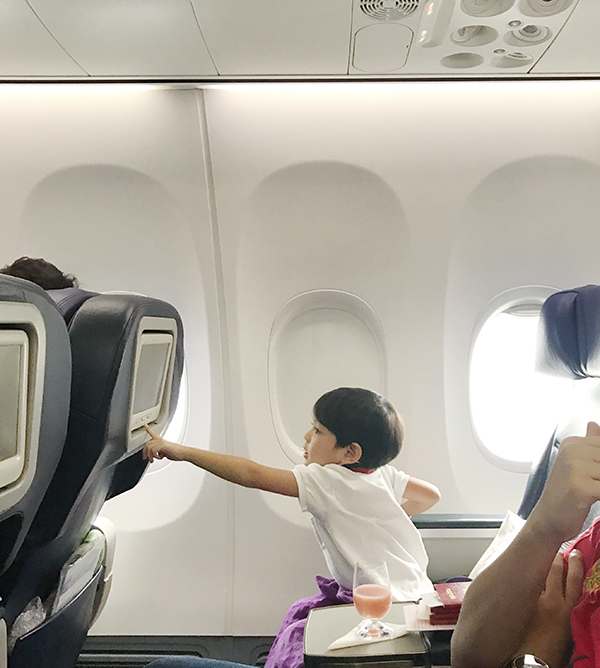 i always bring my kid travel once a month, in Malaysia je.. We will think about Singapore for our next trip… errmm. 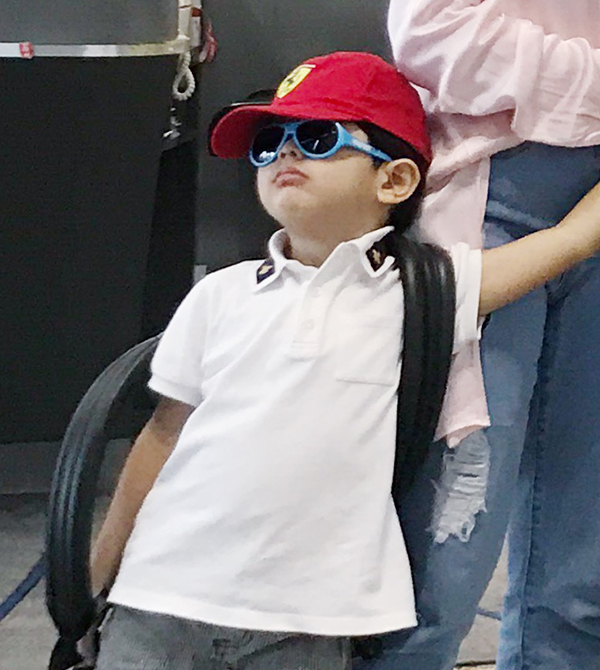 Gosh love ur postings.. totally funny .. hahaah daniel just cant wAit to get to the zoo .. hope u all had a blast on our little red dot … ???? Next time go to japan! Bring them kids to tokyo disneyland where they can watch the parade and fireworks and nara park at osaka so that they can touch the dear! Daniel would be ecstatic i bet, cant say the same for maryam! Vy, Singapore indeed a kid-friendly country, accessible, a lot of makan and touristy spots to go! 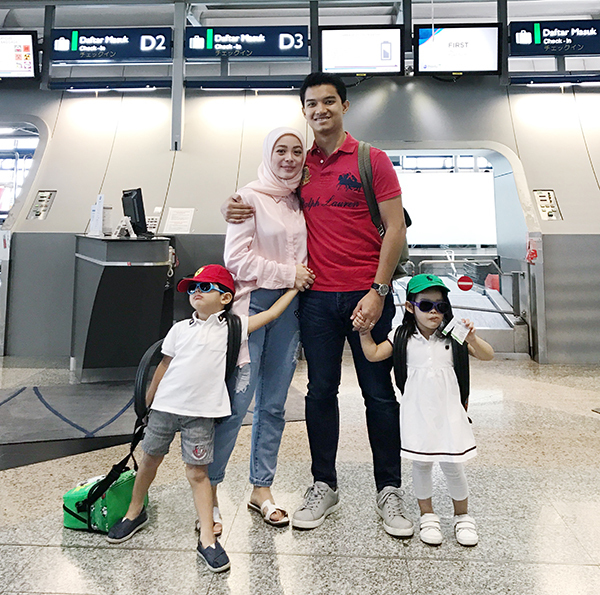 Hope you had fun in this sunny island and hopefully back again for another trip with the kiddos! HAHAHA daniel :’) shooo cute and cheeky! Hahahaha. Comel sangat! 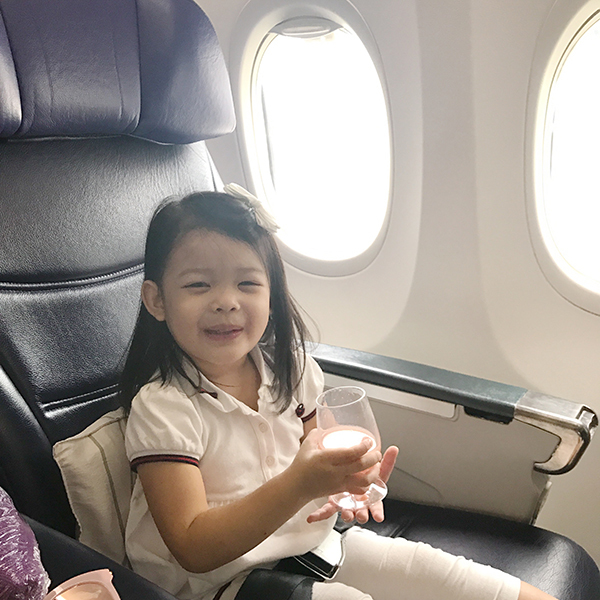 Thanks for sharing that Singapore has lots of attractions for kids. We’ve never been Singapore yet although dekat sangat sebab maybe dekat sangat. Those Safari sounds great holiday!